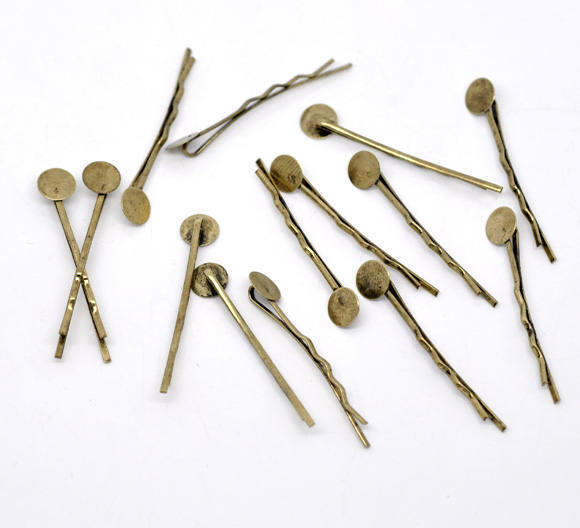 Add your favorite adornment to the glue pads on these bobby pins. 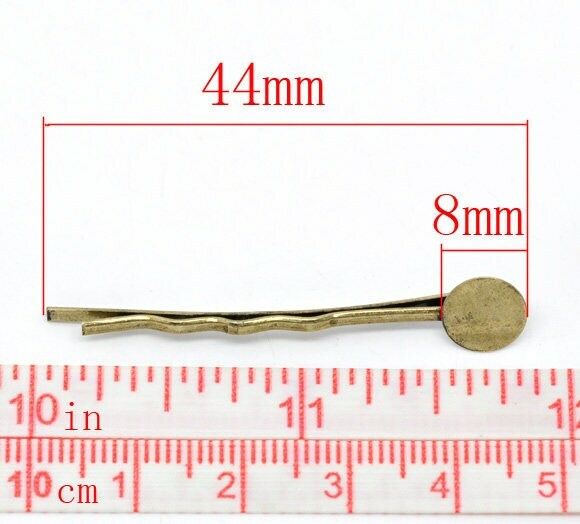 Each pin is 44mm in length. 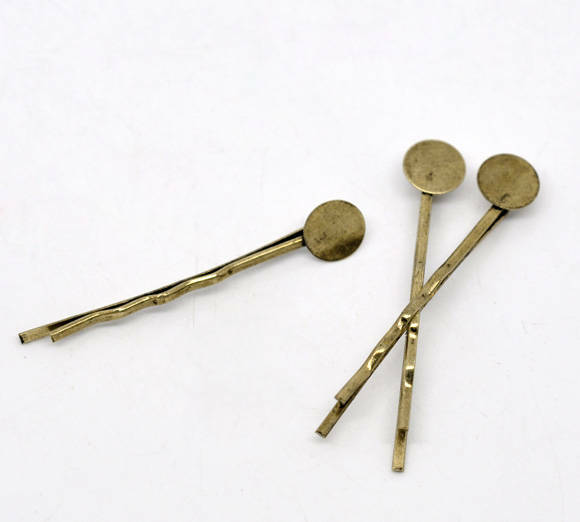 Pad is 8mm, Antique bronze plated steel.